In a marriage in community of property it often happens that the parties can’t agree on a division of the joint estate. In matters such as these a Receiver or Liquidator needs to be appointed to divide the estate in a fair and just manner. In the case of Estate Sayle v Commissioner for Inland Revenue 1945 AD 388 the court held that a marriage in community of property means that the spouses become joint owners in undivided half shares of the assets they possess at the time of their marriage as well as of all assets acquired by them during the subsistence of their marriage. The merging of the properties takes place automatically by virtue of the parties being married in community of property. The community of property continues for the duration of the marriage and only terminates, by either a decree of divorce or the death of one of one of the spouses. On termination of the marriage by death, the surviving spouse will acquire a half share of the joint estate, because he/she owns it, and not through inheritance. Where the marriage is dissolved by a decree of divorce, the parties may agree on a division of the joint estate, in which event a settlement agreement may be drafted to be incorporated in the decree of divorce and made an order of court. In many instances the parties do not reach an agreement on how to divide their joint estate. In those instances our courts have allowed for the appointment of a receiver or liquidator to realise and divide the matrimonial assets. When two persons are married in community of property a universal partnership in all goods is established between them. When a court grants a decree of divorce that universal partnership ceases. The question then arises, who is to administer what was originally the joint property, in respect of which both spouses continue to have rights? As a general rule there is no practical difficulty, because the parties agree upon a division of the estate. But where they do not agree the duty devolves upon the court to divide the estate, and the court has the power to appoint some person to effect the division on its behalf. Under the general powers which the court has to appoint curators it may nominate and empower someone (whether he is called liquidator, receiver, or curator – perhaps curator is the better word) to collect, realise, and divide the estate. The appointment of a receiver or liquidator is designed to protect the ownership rights of both spouses when they cannot agree on a suitable division. A marriage in community of property creates what is called ‘tied’ co-ownership, where the rights of spouses are not only undivided but are also indivisible, as opposed to ‘free’ co-ownership, with freely disposable shares and the possibility of demanding a division at any time since each co-owned share is viewed as separate property. 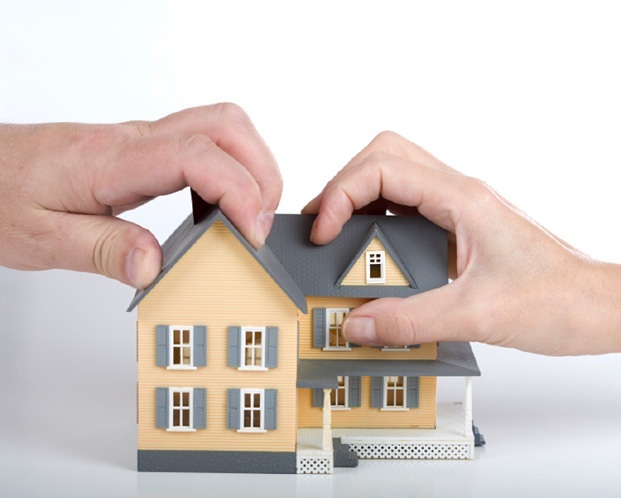 Holding that a spouse in a ‘tied’ co-ownership does not have an automatic right to the appointment of a receiver and liquidator leaves that spouse without a remedy. It therefore follows that if parties can agree on the appointment of a receiver in advance where they foresee difficulties in dividing the joint estate, and courts give effect to that, it cannot then be said that, in the absence of an agreement providing for the appointment of a receiver, trying to appoint a receiver at a later stage is a drastic measure. The ideal situation is for the parties to agree on the division of the joint estate and the legislature, through the enactment of s 7(1) of the Divorce Act 70 of 1979, encourages parties to divide their joint estate by agreement. Section 7(1) provides a statutory mechanism in terms of which written settlement agreements are recognised by the courts. The relevant part of the section provides that ‘a court granting a decree of divorce may in accordance with a written agreement between the parties make an order with regard to the division of the assets of the parties’. The written agreement in s 7(1) may provide for the appointment of a receiver and liquidator, the identity of such liquidator and the powers of such a liquidator. This means that divorcing spouses may agree in advance to the appointment of a receiver and liquidator. In the case of Van Onselen NO v Kgengwenyane 1997 (2) SA 423 (B) the parties, in their settlement agreement, which was made an order of court, had agreed in advance on the appointment of a receiver and liquidator to be nominated by them to sell a property. The above are reasons in support of the argument that the appointment of a receiver and liquidator is a legal entitlement and courts should not have a discretion to withhold such an appointment where it is justified, as in the case of an order for forfeiture of benefits. South African courts tend to apply in matrimonial affairs the principles applicable to the appointment of receivers and liquidators to divide assets of commercial partnerships (see the Van Onselen case at 428B). Although there are similarities in the joint ownership of assets in commercial partnerships and marriages in community of property, the two are not the same and a crucial difference lies in the ‘free’ co-ownership of commercial partnerships and ‘tied’ co-ownership of marriages in community of property as set out above. Another stark difference is that it is settled law in commercial partnerships that, in the absence of any agreement between the partners on dissolution of the partnership, each partner gets a proportionate share of the assets according to his contribution (see Schrepfer v Ponelat (WCC) (unreported case no 17318/09, 26-8-2010) (Moosa J) at para 33). This differentiation between these partnerships is of importance because for commercial partnerships our courts have held that they are not obliged to appoint a receiver and liquidator, and the same principles have been applied to the appointment of receivers and liquidators in matrimonial affairs. I submit that if principles developed to divide joint assets of commercial partnerships are to be employed in the division of matrimonial assets, then those principles must be tweaked and changed to the extent necessary to fit the circumstances of matrimonial assets. Tshabalala JP in Bushnell v Robert (KZD) (unreported case no 6482/08, 9-9-2008) (Tshabalala JP) at 13 held that ‘whilst it is correct that a court is not obliged to appoint a liquidator upon dissolution of a partnership, the court has a discretion to appoint a liquidator’. In exercising its discretion to appoint a liquidator a court will obviously look at various factors including the fact that the parties cannot agree and the size of the joint estate. Although parties should be encouraged to settle on an amicable division of their joint estate, where this is not possible the appointment of a receiver and liquidator should be recognised as a right they have where the circumstances of the joint estate permit such an appointment. If a court declines such an appointment, this not only leaves the parties without a remedy but may also force them to try to renegotiate, which may force a spouse in a weaker position to accept an unfair settlement in order to bring the proceedings to an end. The only solution if the court declines the appointment of a receiver and liquidator for fear that the appointment will burden the joint estate, is that the court itself must divide the estate. Existing case law suggests that courts have this power.